The furniture magazine for the production chain. MAC provides useful and detailed information about the innovation in productive processes and materials in the furniture industry. A thorough research brings in the operators in the production and supply chains a critical and highly technical knowledge of the latest trends and novelties. 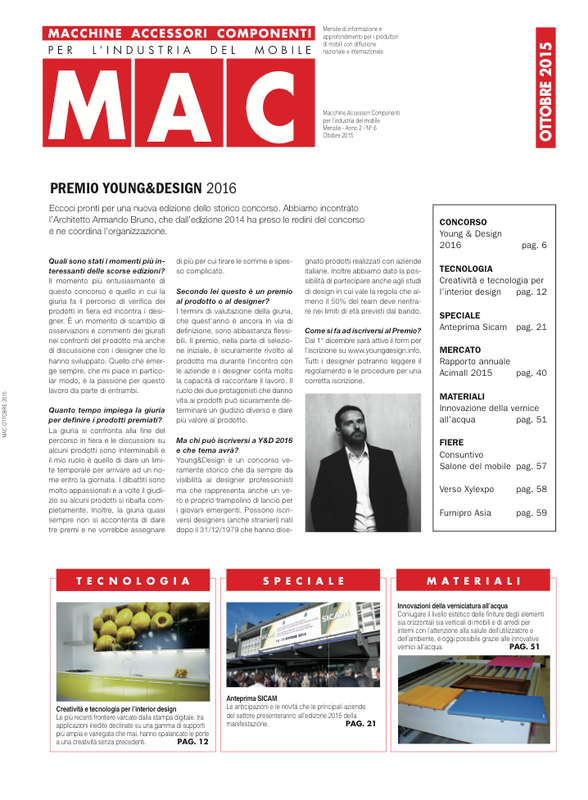 Thanks to its reports on events and on the state of the industry in Italy and internationally, MAC is a helpful tool for those involved in production and distribution of furniture. Bi-monthly, 4 issues per year + 2 international issues per year. Circulation (paper and digital edition): 9000 copies in Italy; 6000 internationally.